The latest release by Topping is a refresh of the entry-level unit in its portable amplifers line-up. 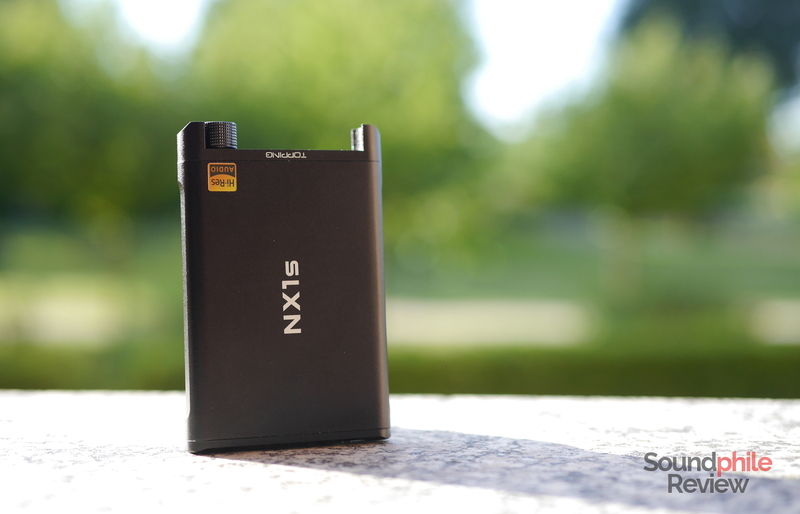 Its name is Topping NX1s and it is a diminutive aluminium-clad device with a sound far beyond what its size imply. It is a cheap amplifier which sits at the bottom of the market, with a price tag of $39.99. Let that not fool you, though: it may be small and cheap, but it punches above its weight. Most importantly, its low price means everyone can afford it and take advantage of its great features – which smartphone users would find especially useful. Disclaimer: I would like to thank Topping for sending me this unit, which I will keep. You can have a look at their site here. While this is a basic product, Topping included a few accessories in the box. There’s an 8 cm cable with 3.5 mm male jack connectors on both sides, two rubber bands to secure the amplifier to whichever source you would like and a full set of Velcro strips in case you don’t like rubber bands. A micro-USB cable and a rubber pad are also included. The rubber pad is used when the NX1s has to lean against another device to prevent damage (e.g. if it is against a smartphone with a glass back). The Topping NX1s builds on the previous models and brings a slightly different design to the table. Round lines are the main ingredient here and are found everywhere; the sides are cut and this creates a round-vs-straight visual contrast which also helps grip. The main new features are the two “horns” found on the upper side, which act as a protection for both the volume knob and the cables. Both input and output 3.5-mm jack connectors are to be found there, while the opposite side hosts the micro-USB connector used for charging, a bass boost switch and a gain switch, both with two possible levels (low/high). While the design is indeed intelligent and offers greater protection than the previous iterations, there is a small downside to the presence of the “horns”, in that they don’t allow right-angled connectors to move freely and lock them in a specific position. Build is incredibly solid: in fact it shows the company’s attention to detail, as the junctions between the three aluminium pieces it is made of are almost seamless despite it being an entry-level device. The only things which look a bit more fragile are the switches, but that is my own impression as they feel sturdy when used. The markings are in white and are pretty minimal. Topping has also been recently branding its products with the “Hi-Res Audio” logo, which is also applied to the NX1s. There’s in fact a “Hi-Res Audio” sticker on it and I’m told it should also come with newer Topping D30 and Topping A30 units. As I stated a few paragraphs above, two switches are on the lower side of the device. One is a gain switch, which allows the volume to be further increased if you use the amp with high-impedance headphones that require additional power to shine. The second is a bass boost switch, which is a new addition to the NX1 line of portable amplifiers by Topping (as stated in the interview with Topping I published a few weeks ago). The boost in bass volume is noticeable and it is concentrated in the 80-150 Hz segment, so you will not hear radical differences in sub-bass, but you will get a bit more oomph in the mid-bass segment. That may be useful for headphones such as the HiFiMAN RE-00 which are bass-light and could benefit from added bass emphasis. The transition is also smooth, so you won’t get incredibly loud frequencies all of a sudden. Quite the contrary, in fact, as the emphasis is clearly audible but gentle as the same time. Being this a portable amplifier with a 3.5 mm jack output, it is no wonder that it supports mostly “portable” headphones with impedance ranging from 16 Ω to 300 Ω. Headphones with impedance higher than 300 Ω are not supported. The power output is small enough to power super-sensible IEMs at acceptable volume levels and large enough to power more power-hungry headphones. I tried it with the VE Asura 2.0, which has a 150 Ω impedance, and it drove them easily enough. Topping claims the NX1s can run for approximately 40 hours. That seems like a bold claim, but it’s in fact really close to reality. Using it for a couple hours each day it took almost three weeks for the battery to need charging. That is using the amplifier at half the max volume, which implies it might even run for longer if used at lower volume levels. As I wrote elsewhere in this site, I’ve reported on the mobile scene for more than five years – in fact I’ve reviewed tens of smartphones and tablets and other products related to the mobile world. It shouldn’t come as a surprise, then, that I used a smartphone to listen to music, both because it was convenient and because I thought it was important to also test audio capabilities of devices. If you’ve read any of my previous reviews, you know I’ve kept using my smartphone to test headphones. That’s both because I think that’s a good way to see how headphones behave with a sub-optimal source and because I don’t always have a decent DAP I can bring along. So, when testing the Topping NX1s I used my smartphone (Lenovo Vibe Shot) most of the time, but I also used a variety of other sources: my tablet (Cube i7 Book), a FiiO X5 3rd Gen and an Aune M1s. That should cover most usage patterns of the NX1s and give you a realistic idea of how the device performs in real life. As for the headphones, I used the RHA T20i, Meze 99 Classics, KZ ZST and Venture Electronics Asura 2.0. When I first listened to the Topping NX1s I thought it sounded transparent and clear. Then I noticed it is not completely transparent and neutral: there’s a bit of “negative coloration“. The amplifier in fact takes just a bit of bass away, although it is a very small amount and it’s mostly concentrated in the sub-bass section. The difference is clearly audible, though, especially with bass-heavy headphones. When we take bass out of the equation, the NX1s is very transparent and there’s no substantial difference in sound quality with the original output. The NX1s therefore only applies amplification without introducing coloration of any sorts, bar the sub-bass. This means you’ll be hearing the exact same signature of the source. There’s an audible channel imbalance towards the left channel, although it gets better when the volume rises. It won’t completely go away, so it has to be taken into account. When I tried the NX1s with the Aune M1s I also heard pops and cracks when a track stopped playing and the following kicked in. While this may be caused by the M1s, I could hear similar noises when connecting the NX1s to my smartphone, so it most probably has to do with how the Topping NX1s deals with these situation. When compared to the XDUOO XQ-10, which is similarly priced and sized, the Topping NX1S has a clear advantage both in features and sound. It’s noticeably more transparent and it also is shielded against cellular microwaves, so it does not interrupt your listening with noises caused by your phone interacting with cell towers. This diminutive device is great in all those cases when the output is not totally clean or with a general low quality. It won’t do wonders and magically make the signal perfect, but it will make the background cleaner and improve the sound. As a practical example, the Cube i7 Book tablet I own has a lot of background noise which is cancelled by the Topping NX1s. 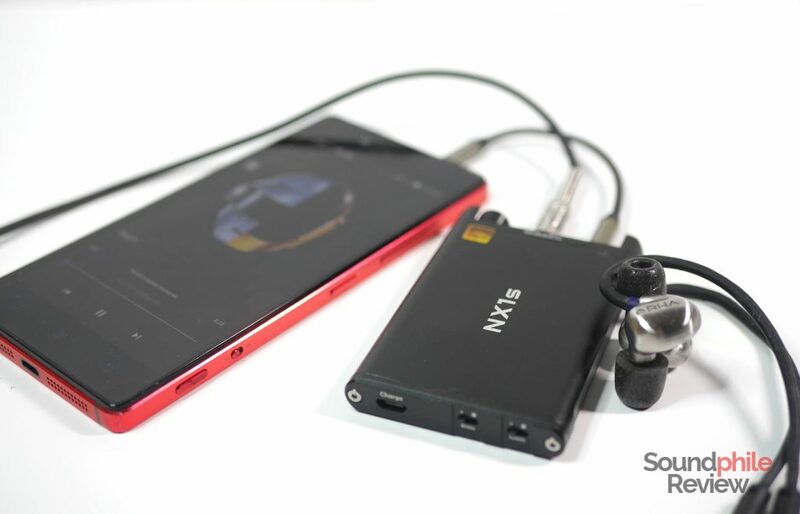 Although it may seem trivial at first glance, one of the greatest benefits of using a portable amplifier such as the Topping NX1s in conjunction with a smartphone is that it allows you to fine-tune the volume to your liking. This is not possible on smartphones and I always find myself wishing for a fine-grained volume control while using my smartphone to listen to music. Being able to set the desired volume on a smartphone and to apply basic bass equalization make the Topping NX1s worth its price by themselves. I’ve tested the Topping NX1s for about a month and I’m surprised by how good it sounds and works. It’s a nifty little device that allows for a wide range of headphones to be used even when paired with a portable source. It’s solidly built and its affordable price only makes it sweeter. It wins my whole-hearted recommendation as an entry-level device to start one’s journey in the audiophile world or as an affordable mean to improve the sound of and add convenience to a smartphone. The Topping NX1s retails for $39.99. Thanks for this! I was wondering whether it is a good match and powerful enough to drive a Beyerdynamic DT770 80 Ohm or I should consider something bigger like the Topping NX4? Hi! I think they offer enough power, so the NX1s could work without issues. I actually paired it with a VE Asura 2.0 (150 Ω) and it drove them effortlessly while using my smartphone as source, so your 80 Ω DT770 should work pretty well! 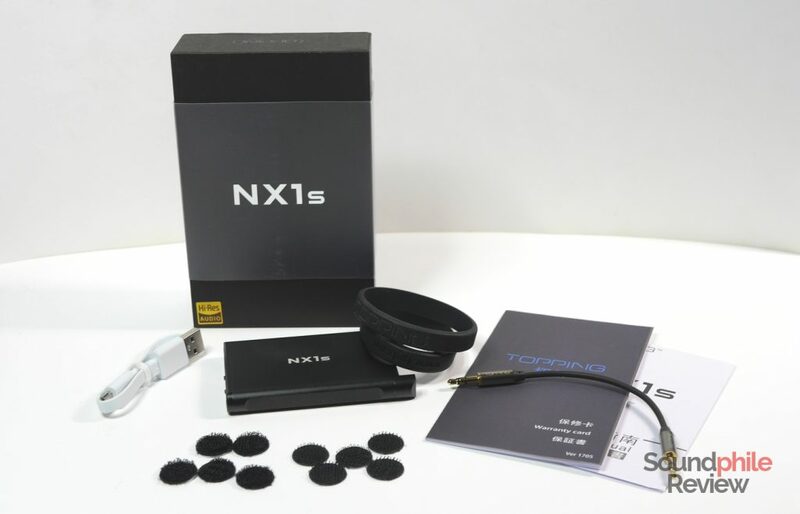 I did not try the NX4, though, but judging by the specs sheet, it looks like it can drive headphones with higher impedance much easier and it is generally able to provide more power. 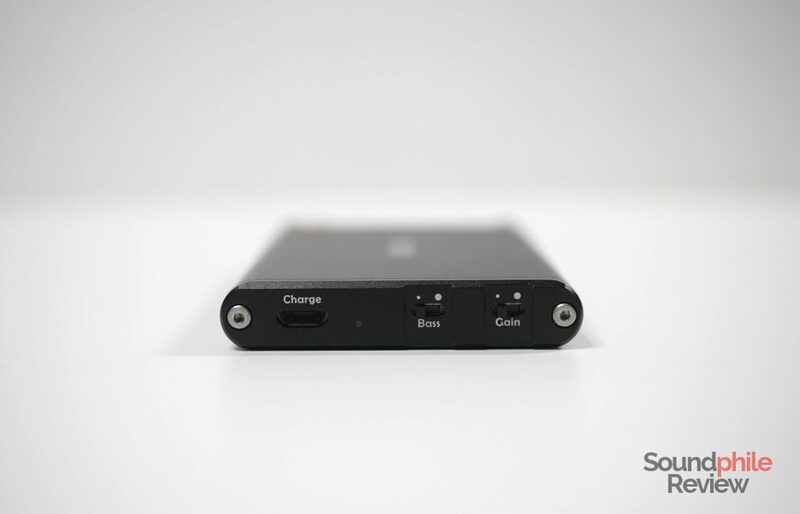 It also includes a DAC, so you can bypass both your phone’s and PC’s built-in (and not stellar-quality) ones. It’s ~2-3 times the price of the NX1s, so I think you should consider whether you want a DAC, too, or just an amplifier. Ho le tue stesse cuffie!! Vorrei abbinare un ampli? Tu quale hai preso? I wanna know more about NX1s. 1. So, it’s an DAC with capable of amplified. What kind of type chip DAC on NX1s? 2. Little confused about Hi-Res & Hi-Fi, is it available on NX1s? The Topping NX1s does *not* include a DAC, it’s only an amp. If you are looking for an amp+DAC combo, there’s the Topping NX2 (if you like Topping devices), FiiO E17K, SMSL IDOL+, Creative Sound Blaster E3/E5 and so on. As for Hi-Res, the Topping NX1s is certified by the Japan Audio Society to be Hi-Res Audio compliant. I do not know what you mean with “Hi-Fi” in this context, as there is no certification or standard I know of. My bad, sorry about my knowledge, actually i’m newbie about sound stuff and starting to know more. I’ll check about that devices. Just browsing about ‘cheap DAC+Amp’ all time, and getting this article actually open my mind. I use china smartphone that haven’t good enough sound quality (msm8976tashalit, Quallcomm). An earbud 32Ohm good enough produce sound, and Hosiden earbud 150 Ohm doesnt sound better on same setting. No, alas I did not review the NX2, though I may consider it. I also found out Topping launched the NX2s, which should be a “better&improved” version of the NX2. I’ll keep you posted on the matter! It does not have DAC inside, Nx1s just a portable amply. Hi resolution audio just like you see a high resolution picture. Hi res audio about 44khz. Hi Fi is a term used by listeners enthusiasts to refer to high-quality reproduction of sound. YOU WROTE THAT THERE IS SOME KIND OF OUTPUT LEVEL DIFFERENCE BETWEEN L AND R CHANNELS…. HOW NOTICEABLE IS IT AND IS IT POSSIBLE THAT IT IS JUST AN ISSUE WITH YOUR PARTICULAR UNIT ? It may indeed be an issue with my particular unit, though I doubt it. A bit of channel imbalance is normal at low volume; there is a tiny bit of imbalance at higher volumes, too, on the NX1s. I personally find it not too noticeable and in an acceptable range. It definitely would have brought the rating down if it was a serious issue! How is this comparing with the aune B1, if you know that ? Sure thing! You can use the NX1s with any device you like – be it a computer, a smartphone, a tablet, a DAP, a DAC or even another amplifier. 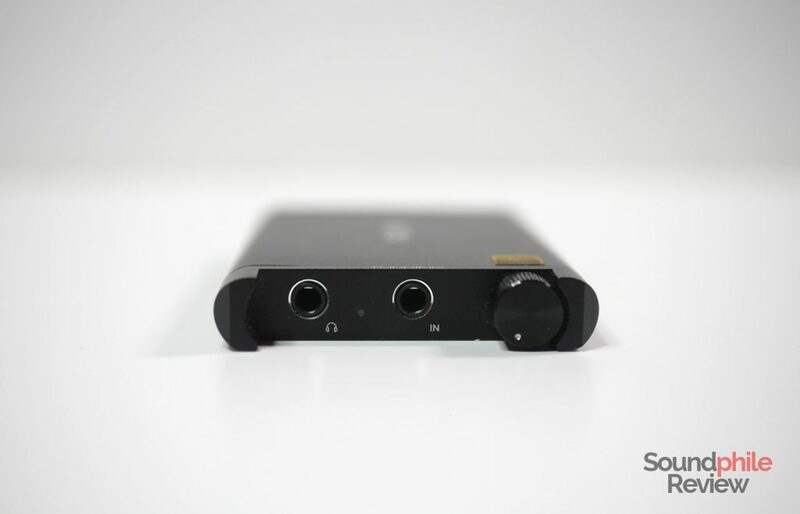 The NX3 seems not to have a DAC, so it is a pure headphone amplifier. As I did not try it, I can’t make a direct comparison with the NX1s; as the NX3 is now out of production, though, you may want to look at other products! Can the NX1s be used to amplify a mandolin pickup…? As far as I know you need a preamplifier, as the signal from pickups is too weak for a headphone amplifier (which usually uses line signal). They’re fairly different products. The NX2s also integrates a DAC, which the NX1s does not have. As for sound, I did not try the NX2s so I can’t help you much with that.